I found a rather nice terrain mesh, which I thought would be good for a distant planet surface. 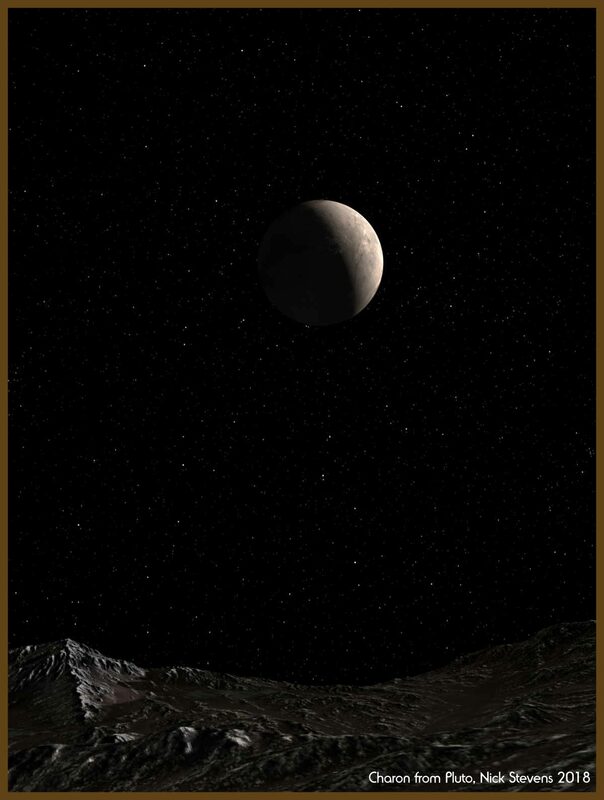 Added a rich star filed to imply dark skies, and decided to use a quick render of Charon. Probably not quite the accurate alignment, but this was always meant as a quickie.